PICTURES AVAILABLE DIRECTLY BELOW AT "CLICK HERE"
No password is needed. Type in email account to activate. All images can be downloaded for free. Also prints can be purchased through Jeff Adams who uses a professional lab. Jeff donated his time for this event. Please order from him as you can. Patrick Heinold was 17 years old when he took his life on February 4th, 2017. Patrick was the last person anyone expected to fall to suicide, as he was everyone's best friend and favorite person, and thrived an all that he did. Patrick was a member of the Bolles' Men's Varsity Basketball Team and also participated in band and Junior Mentors while attending The Bolles School as a junior. Patrick was a member of the Parking Ministry at Christ's Church and was an active member of Young Life. Patrick's legacy will forever live on in how he treated others, befriended everyone he met, and embodied Christ in everything he did. We will miss and love you forever Patrick. To promote suicide prevention through programs dedicated to the well-being and mental health of our nation's teens. 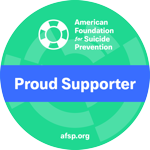 Encouraged by Local Young Life and American Foundation for Suicide Prevention (AFSP) organizations. The Patrick Heinold Foundation, Inc. is a 501(c)(3) non-profit public charity. Tax ID # 82-3435159. The 1st Annual Patrick's 3v3 Basketball Tournament on March 17, 2018 at The Bolles School was successful. This event's proceeds funded the local Northeast Florida Chapter of American Foundation for Suicide Prevention (AFSP) with $5,000 for their programs. We also funded the local Young Life organization with $5,000 for their summer camp scholarship program. The Patrick Heinold Foundation, Inc.